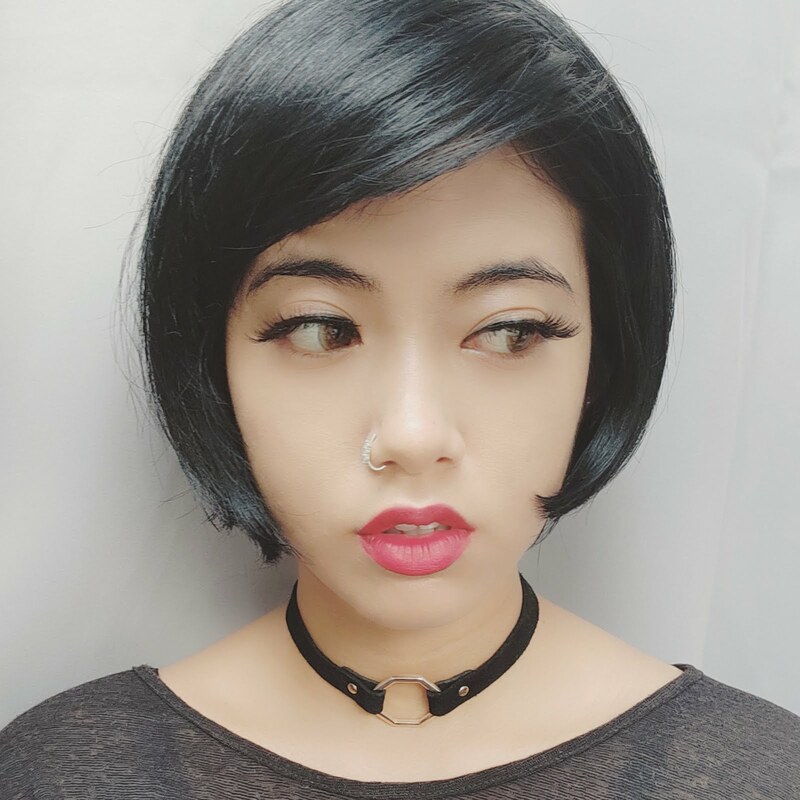 Recently I just had an amazing hair transformation, one that I would never imagine doing it on my own accord. 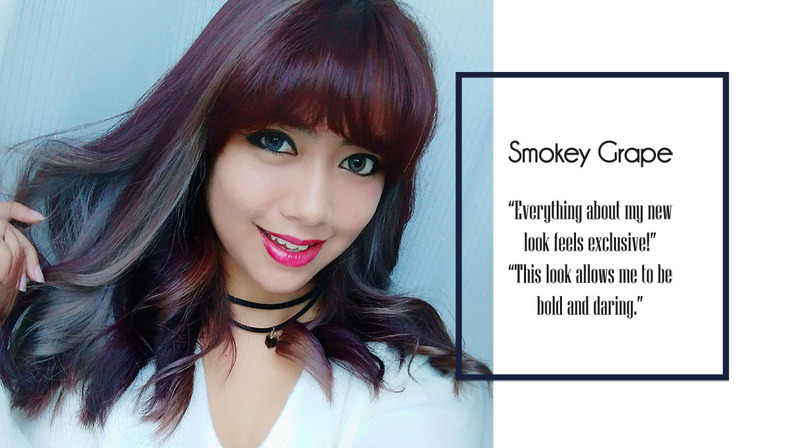 I would have never thought of getting a 'smokey' look for myself but guess what? I feel completely amazing in my look thanks to Diana N Dom Hair and Makeup Studio! This new bold look of mine was proposed by Diana herself! How lucky I was to personally be "pampered" by her. The whole time that I was getting my hair done at the salon, I felt that there was a sense of premium in everything. The staffs, their work ethics and the whole hair colouring process, it all felt very exclusive for some reason. So if you are looking for a place that treats you like a V.I.P and are experts at their job, then you should come to Diana N Dom! Let me share with you, my exclusive experience! 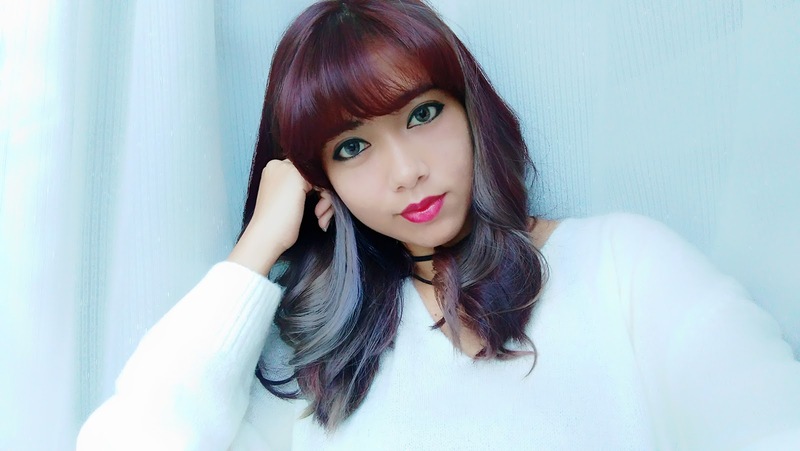 As soon as I sat down on their sofa, Diana and Gwen gave me a brief consultation on how was my hair condition, how she was going to proceed with the hair colouring treatment, which areas of the hair would be bleached and what products they will be using on me. Apparently, the consultation is a process that each and every customer of Diana has to go through! You see why I said it felt like I was having a V.I.P treatment? 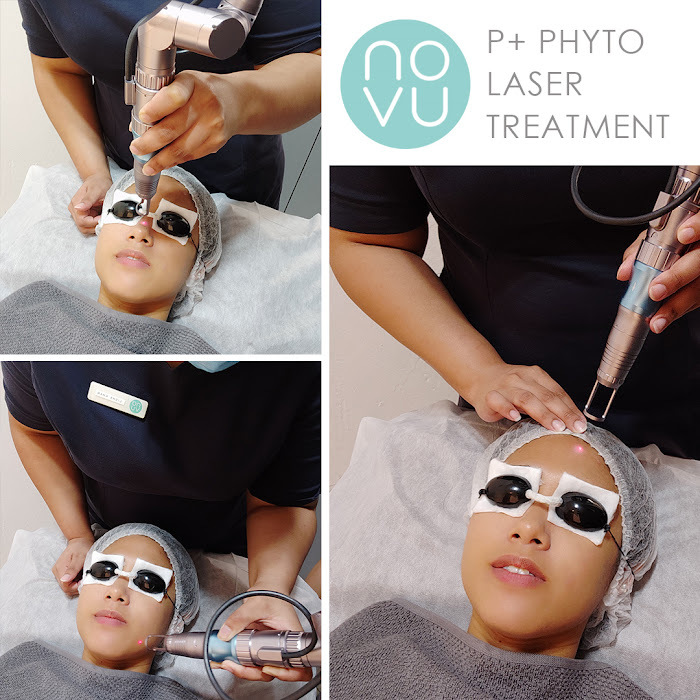 Usually, we would just walk into a salon and simply request for the treatment that we want without knowing exactly how they will be executing it and most of the time, we wouldn't know whether the treatment is really okay to go ahead with the condition of our hair. Which after my consultation, I felt like every salon should actually start practising this...yes it does take up a bit more time, but honestly, it helps your customer to understand their hair better and there's a lesser chance that they will be unhappy with the results. Imagine going back home only to wash your hair and find it to be completely dried out! The horror! See my point? Anyways, after I understood what I was getting myself into, I was instantly brought to my "throne" and the whole 4 hours process begun! It started with two shampooing processes. According to Gwen, the first time of shampooing is to wash the dirt off my hair then the second is to "strip" the existing hair product residue. 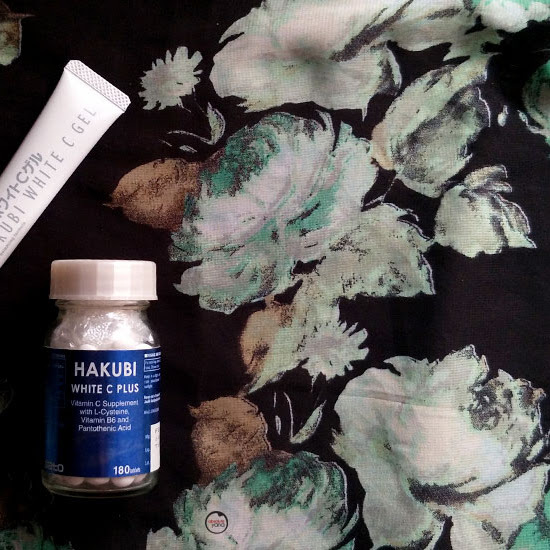 This helps our hair molecule to easily absorb the new colours. 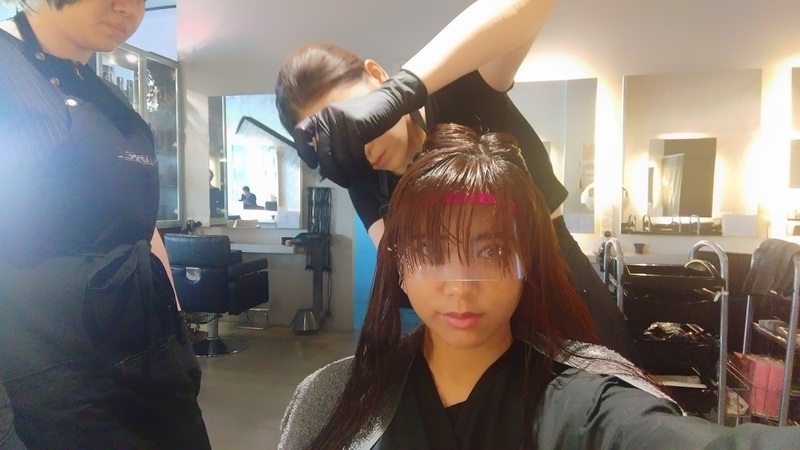 After that, Diana started with the colouring process...first, she sectioned my hair into 3 parts and then applied the Grape coloured dye, by Paul Mitchell Color XG, onto the top center-to-middle section of my hair. Once she was done, she twirled that portion of my hair into a bun. Then, she went on and bleached my hair with the assistance of Olaplex. 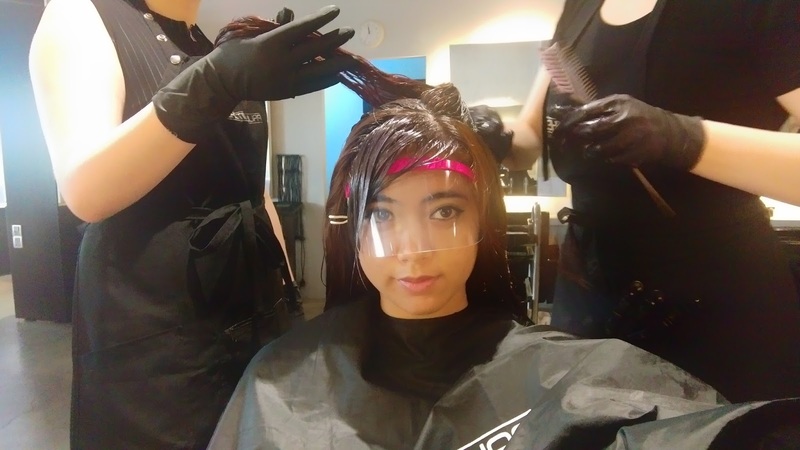 I was amazed that she was able to achieve the 9th level (of bleaching) with one application. 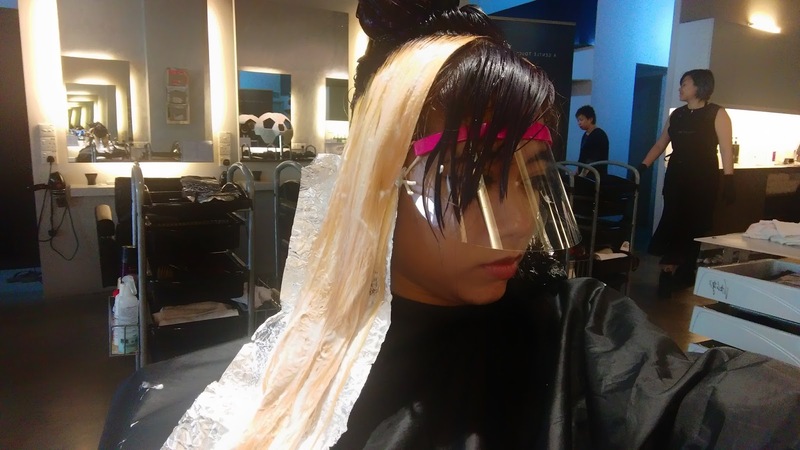 Because as far as I know and remembered what other's have told me, usually most salons would need to bleach one's hair a few times in order to reach the 9th or 10th level, which consequently damages your hair even more! 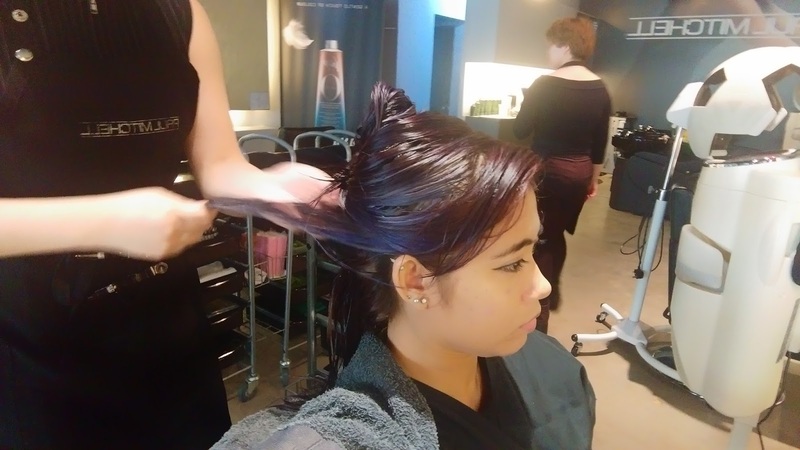 After 30 minutes or so, I had the bleach washed off my by Gwen, then Diana started applying the Smokey Violet (also a dye from Paul Mitchell Color XG) colour onto the bleached hair. When Diana felt the colour had come out to what she had visioned earlier, I was taken to the back to get my hair washed. 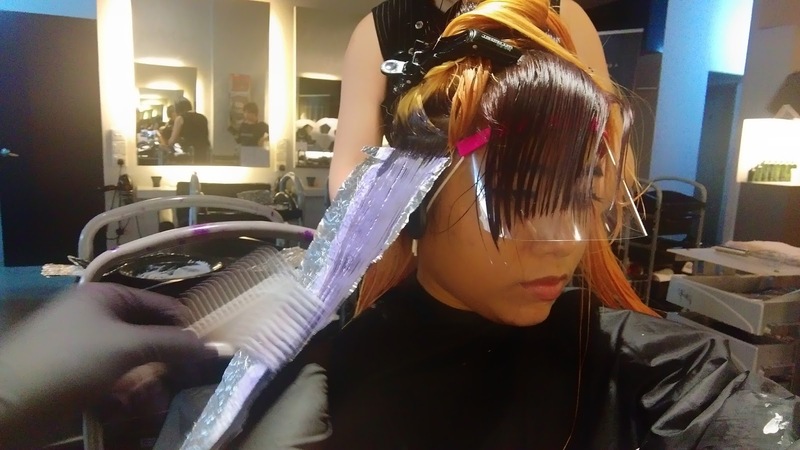 The process of bleaching can be very damaging for our hair, which explains why many dare not to bleach their hair, so in order to save my hair and to "pump" it back with nutrients, they used the Paul Mitchell Awapuhi Wild Ginger Keratin Inside-Out Hair Treatment. 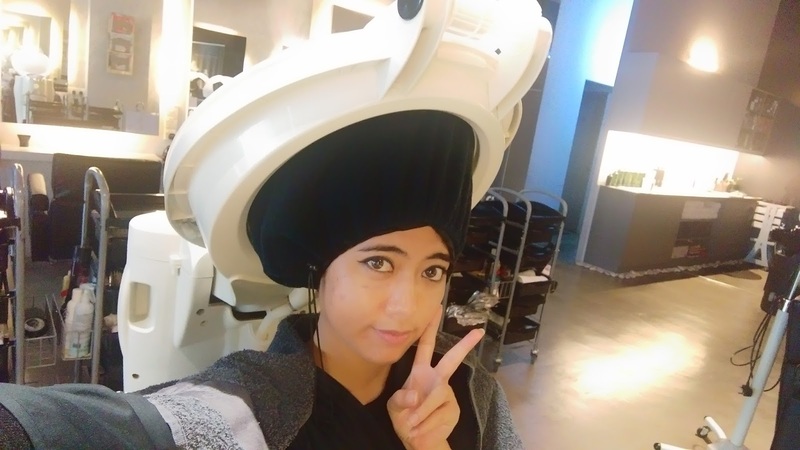 To achieve the best result for this hair treatment, I had the "alien head" steamer on me to open up the hair follicles for easier absorption. After that process was done, my hair was given a little trim as I had uneven ends and then came the final procedure of beautifying my hair. Of course, the best hairdo to compliment the vibrant colours would be the curls that are loosely pleated and that's exactly how Diana styled my hair. Overall, I fell completely in love with how my hair looks now and their service. It was a very professional pamper session for me. 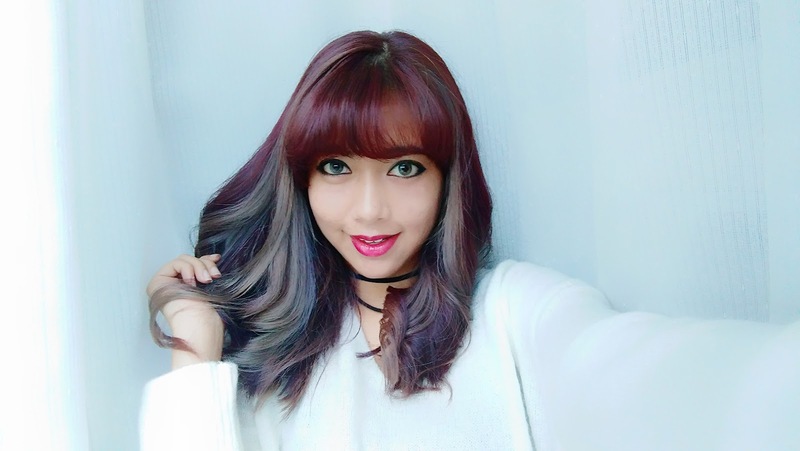 Now, though, they are on the pricey side, I would still recommend you to try getting your hair treated or coloured at Diana N Dom Hair and Makeup Studio! Oh! and do remember to call them up to make a booking first ya, as walk-ins are a rare case, as they don't like to rush the results! I remember what Gwen told me, she said to achieve the best results, you will need to spend your precious time. Heck, you think 4-5 hours is long? There was a time where two of their clients had to spend 12 and 16 hours because one of them wanted to dye their virgin hair into a statement hair while the other was going for the rainbow hair colour. So be prepared to sacrifice your hours and money for the new beautiful look! Olaplex is a single active ingredient invented by Dr Eric Pressly, PHD in materials and Dr Craig Hawker, PHD in chemistry. The beauty of Olaplex is that it is free of silicone, sulphates, phthalates, DEA, aldehydes and is never tested on animals! 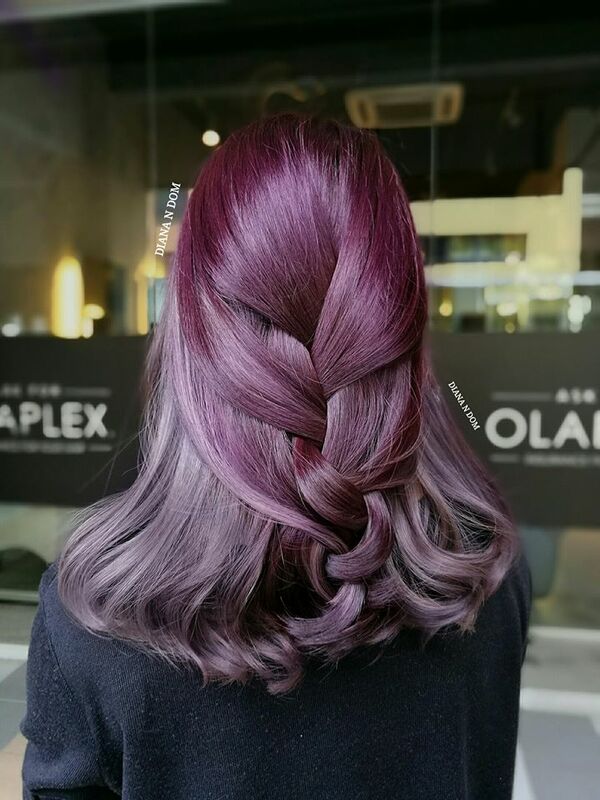 What Olaplex does is to simply help bond back broken hair bonds during thermal, mechanical and chemical treatment. As for the Paul Mitchell Awapuhi Wild Ginger Keratin Inside-Out Hair Treatment, it consists of two treatments, Keratriplex treatment and Keratin intensive treatment which helps to reduce breakage by 80%, improves hair shine by 35% and prevents the new hair colour fading off by 67%. Absolutely love your smokey grape hair now. And the loose curls, I can't never achieve that with my straight like sticks hair! Thanks babe! aiyaaa...maybe can find a solution for those stick hairs? looking good with your new style . The product range seem great for bleaching ! this transformation is totally perfect! 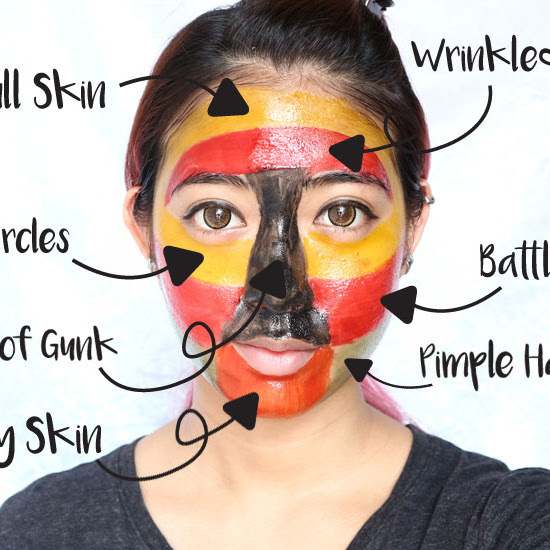 you feel like a complete different person with that make up on! So nearby me too! Just wat I was looking for!may visit them soon, thanks. Btw u look amazing, straight outta magazine! Your hair colour looks really nice. I wanted to transform my hair too. I love your new hair do, you look great in it! Wow I love your hairstyle so much. Thanks Joy <3 The team did a great job..
i loveeeeeeeeeee your hair so much!!! what a lovely colour~~ so cool also sweet!! Wow! 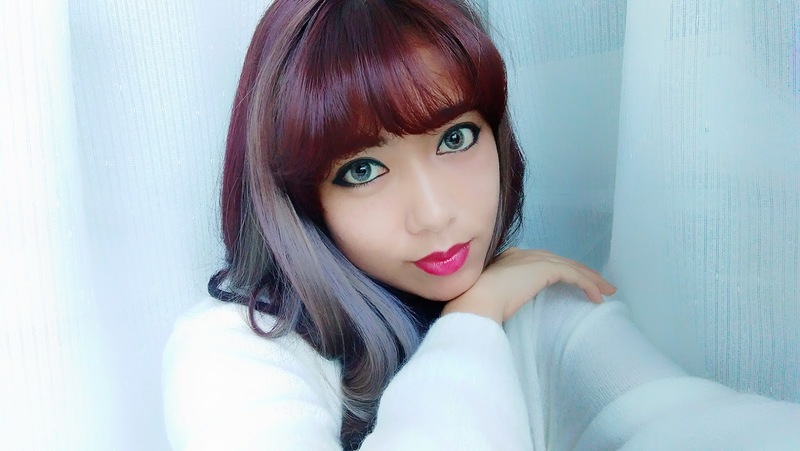 I love your new hair color and its silk finishing. Hi, Yana! Nice nice nice nice nice nice hair! I'm amazed. It fits you so much. Done following you!